Some friends were discussing what we could do differently in summer. So this time, let’s try crabbing. We were not sure about whether it requires fishing license to do crabbing. We were not sure in the beginning where we should go because there are many piers in San Francisco bay. Finally, we decided to go to Berkeley Marina. There are also rules about which crabs you can take home. 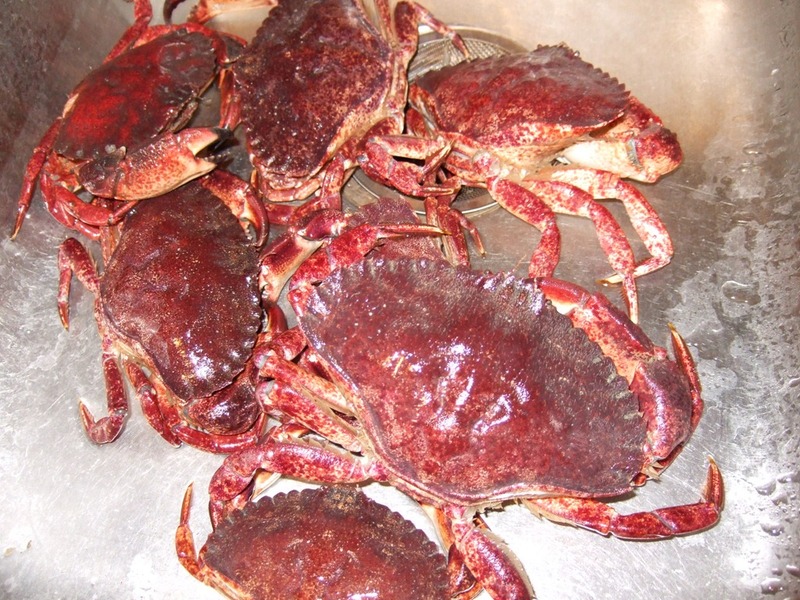 Like right now, between July and November, you are not allowed to catch Dungeness crab. You are not allowed to catch female crab. You can take it home when it is over 5 and 3/4 inches. Each person can only take maximum 6 crabs home. A introduction of crabbing on youtube is attached. It’s really quick to catch them. You just need to drop your net to the water, wait for about 10 minutes, then you pull the net up, you can see a few of them. Some are big and some are small. Some people are concerned about the pollution in the bay so they don’t want to eat what we caught. Some people feel pity for these little creatures. We took home with larger size crabs. They are really afraid of our tap water. Maybe because there is fluoride in it or there is no salt in the water. You can see the picture that our trophy lying in the sink tank.